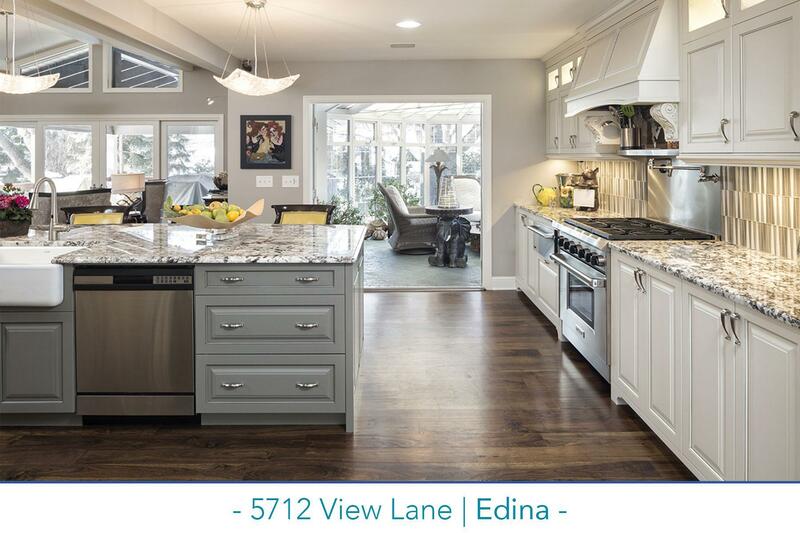 Exceptional four bedroom home for sale in Edina that’s in MINT condition. Featuring a magnificent kitchen with top-of-the-line appliances, including commercial Wood Stone pizza oven, center island and marble counters open to the vaulted great room with fireplace with adjoining glass-ceilinged solarium with heated floors, as well as expansive 20 ft. x 20 ft. porch with phantom screens. Generous bayed dining room with fireplace. Two bedrooms and two baths on main. Sumptuous upper level master suite addition includes generous living area with fireplace, master bedroom, kitchenette, full bath and laundry. Lower level includes media/theater room, adjoining wet bar, fourth bedroom, gym, laundry and half-bath. Outdoor storage beneath porch, in-ground sprinkler system and outdoor lighting. Incredible property!